Doostang acquired Jobfox in October last year. I interviewed the buyer’s CEO, Jeff Berger, at the time to find out more. 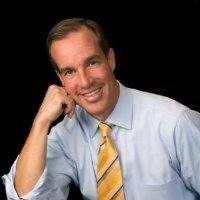 And although he was relatively open about the purchase and what they’d do with the property, there wasn’t a lot know about the future of company founder Rob McGovern (photo). The silence was deafening, since the new ownership was stuck dealing with some brutal allegations against Jobfox and, more interestingly, McGovern himself. A secondary post drew a bevy of negative comments, focused on people who had delivered services to Jobfox and been stiffed on payment. One industry CEO vowed to help fund a class action suit. Their fearless leader [Rob McGovern] managed not to pay some very large bills to a lot of people in the industry as well. Kept running them up even after it was very clear they were bankrupt. I for one would make a contribution to the legal fund of any employee who wants to sue him personally, since walking off without paying your employees as a corporate officer pierces the corporate veil in many states. About the only thing we knew was that McGovern was launching a site at www.cobrain.com, but the site was relatively barren at the time. Visiting the site this week, however, revealed a company open for business. The company’s mission is pretty obtuse at the moment, but all the buzzwords of the day – big data, data science and insanely great – are represented (I’m sure “pivot” will show-up eventually too). 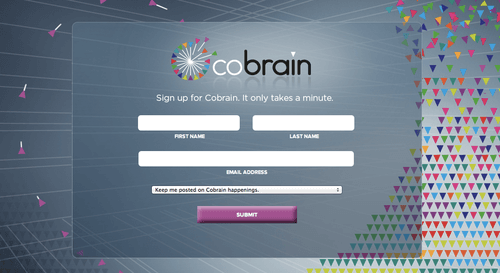 Cobrain is about collective intelligence; the shared brain power of people like you. We’re building mobile and Web products, which will be absolutely free for consumers … Cobrain will appear in your world through various apps and software components. We’re about advanced data science and machine learning. We’ll help our members make better decisions via the collective intelligence of others. Most notably on the company’s About page was, “The most frequent feedback we hear: ‘You’re going to change the world.’” Change the world? Certainly a piece of cake for the guy who founded CareerBuilder. For more insight on the company’s mission, checkout their submission for a trademark here. Joining McGover in this endeavor is CTO John Schmidt, “known in the Washington tech community as a mobile design expert,” and Jay Swearingen, chief talent officer. The best news for McGovern, who also survived a near-death car crash in 2009, is the legal troubles of Jobfox may be over. Aside from a lot of trash talking and a 2011 suit, I can’t find evidence of anything active online.